The modern wine trader is undoubtedly a demanding beast. Not only do they want to keep costs down, but they want more visibility, increased flexibility of supply, as well as faster access to information. It’s a tough set of requirements, but thankfully there are software suppliers to help. 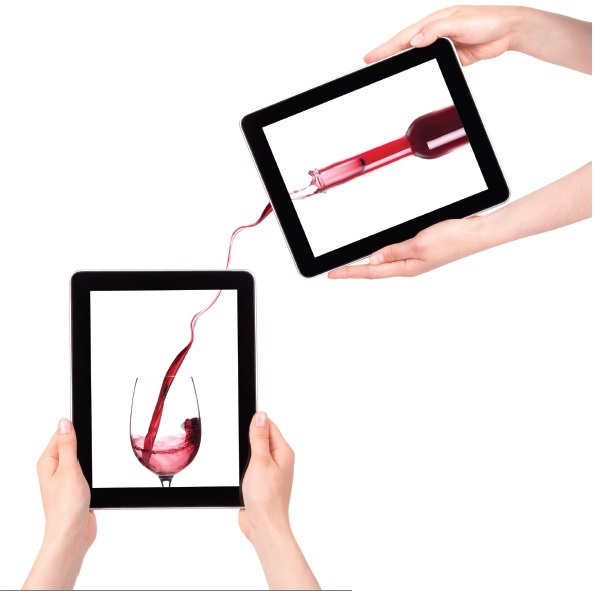 In particular, TVision Technology is not only aware of the needs of today’s wine trade, but also its peculiarities. 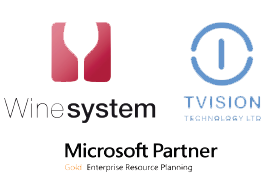 Back in 2002, TVision adapted the Microsoft Dynamics ERP software solution specifically for wine distributors, following a request from UK-based Enotria to work with the technology provider. As a result, customers can now benefit from employing the most popular mid-market ERP solution, Microsoft Dynamics NAV, with specialised functionality for drinks distribution. Indeed, TVision’s “Wine System” has been developed to deal with wine inventory specifics, such as the need to report in equivalent cases, run a bonded warehouse, and even record media tasting notes. Then there’s the adaptation of its distribution tools too, which are designed to handle duty-free or duty-paid orders; paid and unpaid reserves; excellar and commission orders, as well as en primeur. Notably, TVision’s Wine System can be adapted to suit the requirements of any sized operation. The scalability of Microsoft Dynamics NAV means that it’s suitable for a two-man start-up to a global operation. It’s also made even more affordable and scalable by the possibility of taking a cloud-based route. “There are lots of things that we need that are specific to the wine industry which TVision understand, and which other systems don’t handle well,” explains Hamish Gillespie, finance and operations director at new wine supplier to the UK trade, North South Wines. “But the most important thing for us was the ability to use the TVision system in the cloud, meaning it is really scalable and there is a minimal start-up cost,” he adds. Consequently, Gillespie points out that North South Wines didn’t have to spend “£1000s on hardware”, when it launched the business earlier this year. Furthermore, because it uses the cloud, “everything can be accessed from wherever we are straight away,” he says. Notably, wine businesses like working with TVision because of the underlying Microsoft platform, which is both familiar and reliable. This is in contrast to some other software options for the drinks trade, which can be quite niche and not always systematically developed. “We have found that TVision provides a very good product for a mid-sized to large company, and, because it is Microsoft based, it is very flexible, as well as easy to extract and manipulate data,” comments Falk from Hallgarten Wines. In essence, the TVision software solution is based on a standard package – and has all the tools necessary for sales and accounting – so it only has to be pushed a little bit further to meet the needs of the wine industry. A standard package means a platform that benefits from Microsoft’s hefty investment in R&D and a thriving international community of skilled professionals. It means that generic business requirements such as multi-currency, multi-lingual and local compliance (VAT, intrastate, Sales Tax etc.) are met by Microsoft. So too are strategic aims such as leveraging mobile and Cloud technologies. This has allowed TVision to focus on supporting the wine clients’ idiosyncratic requirements; for example, the fully automated wine broking service deployed by Atlas Fine Wines. Atlas had been using the TVision Wine System since its foundation in 2010, this year they came to TVision with an idea that enhanced the existing brokering functionality into a fully automated wine broking service, allowing Atlas to increase its service without adding to inventory. The project required TVision and Atlas personnel working together to gather pricing information from a number of web-based sources, which are then used to swiftly calculate a current market price for wines. Clients are able to view these prices online, enabling both Atlas and their clients to make more informed decisions on wine portfolios. In essence, TVision’s solutions comprise three key layers. The first is the standard layer: the Microsoft Dynamics NAV; the second is the Wine System layer – which has been developed for the generic wine industry – and the third is the company specific layer, which enables each business to have their unique processes supported within the solution, not on spreadsheets. Crucially, the solution is flexible, scalable and supportable, and, as the examples above testify, it can rapidly turn a strategic idea into competitive edge and real return.